Demonstrators are expected to end a three-day, 34-mile march Monday in protest of Wells Fargo's ties to the fossil fuel industry in San Francisco. The March for Fossil Fuel Freedom, which began in Palo Alto, will conclude outside the bank's headquarters in San Francisco. 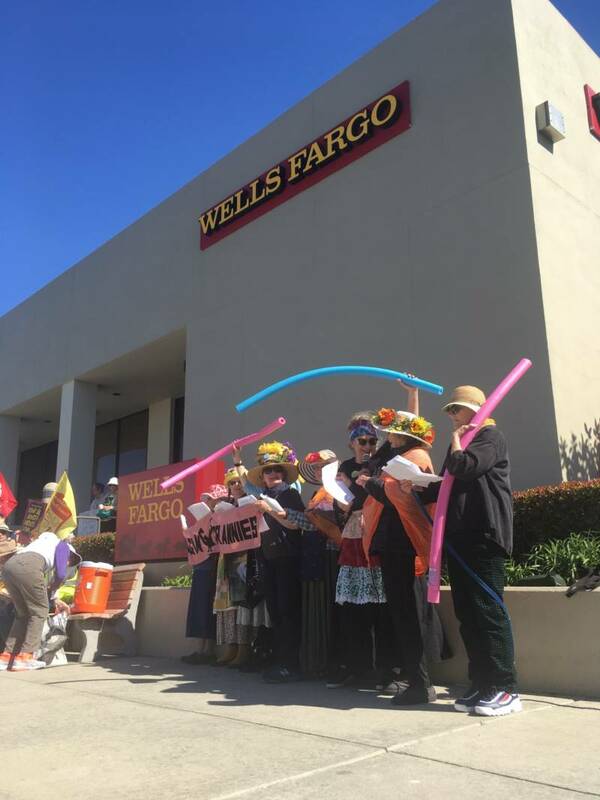 The marchers — including climate activists, indigenous people and church members — sang songs and carried pool noodles outside a Wells Fargo branch in San Mateo on Saturday, in reference to the threat of rising sea levels brought on by climate change. Wells Fargo has been under pressure from shareholders and activists to reduce or halt financing of coal mining, tar sands and Arctic oil drilling and to make a commitment to combat climate change. In 2017, the bank was criticized for providing $120 million in funding for the controversial Dakota Access Pipeline. According to a 2018 report by the Rainforest Action Network, Wells Fargo invested more than $4.6 billion in fossil fuels between 2015 and 2017. The bank's spending in the industry increased each year over that period, in contrast to most other major banks. Ralph King, the march organizer and member of the activist group Silicon Valley 350, said most people don't know about Wells Fargo's investments in fossil fuels because they're distracted by recent high-profile scandals involving the bank, including the company opening up to 3.5 million unauthorized accounts. "No company in America needs a PR win more than they do," King said. 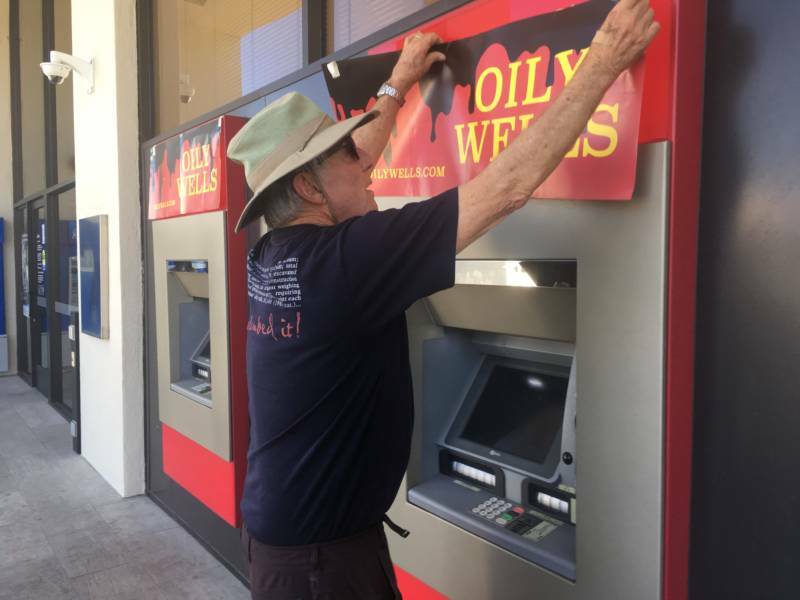 "If Wells Fargo doesn't quit this dirty energy business, let's quit them. Cut up your ATM card and hand it to them over the teller window." Several marchers referred to Wells Fargo's fossil fuel investments and its environmental implications as a moral and spiritual issue. “We were called to be stewards of the earth," said Pat Kinney of Palo Alto. "We think of it as stewardship, not lording over everything else." "Jesus in Matthew 25 talks about how nations will be judged on how they treated the vulnerable people in their communities. Climate change is about how we will be able to care for those people," said Jeff Spencer, senior pastor of Niles Discovery Church in Fremont. Wells Fargo said it plans to invest $100 billion toward clean technology and renewable energy through 2030, according to a statement by a bank spokesman.